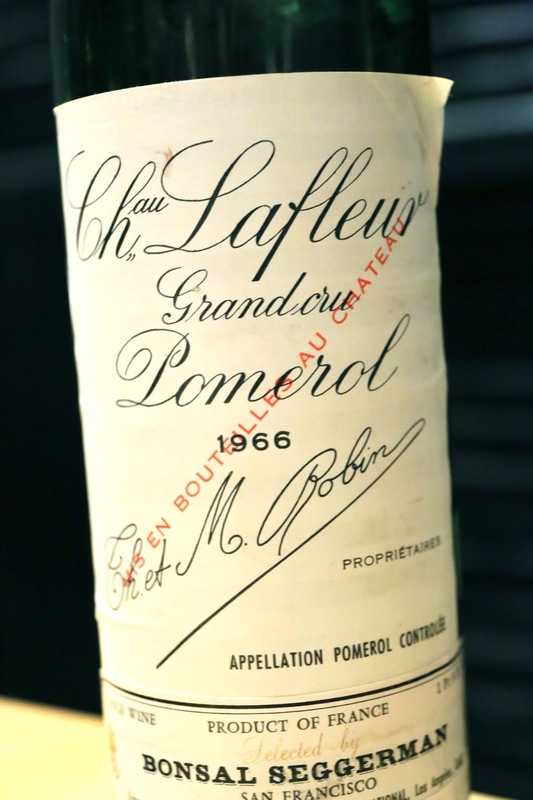 Pre-auction tasting hosted by Sotheby's Hong Kong. 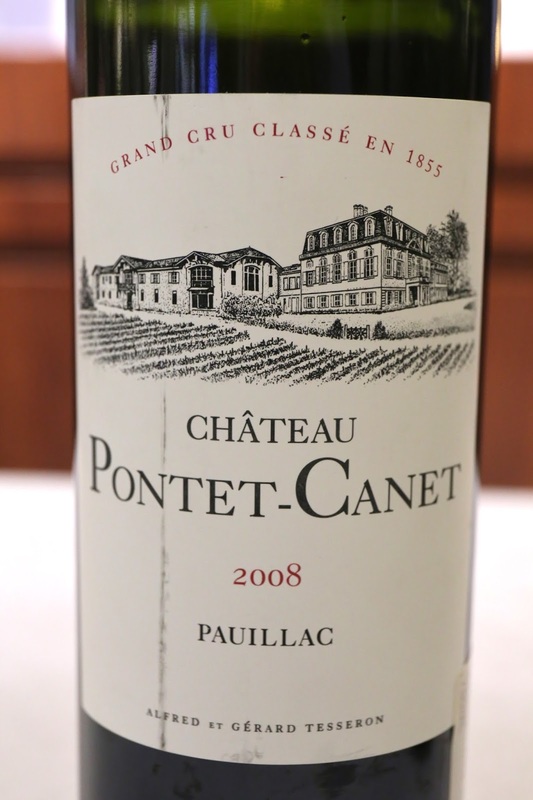 1998 Pontet-Canet - kinda alcoholic. Minty nose with a little wood and some plum. Tannins are still here. 2003 Latour - opened more than 2½ before I tasted it. 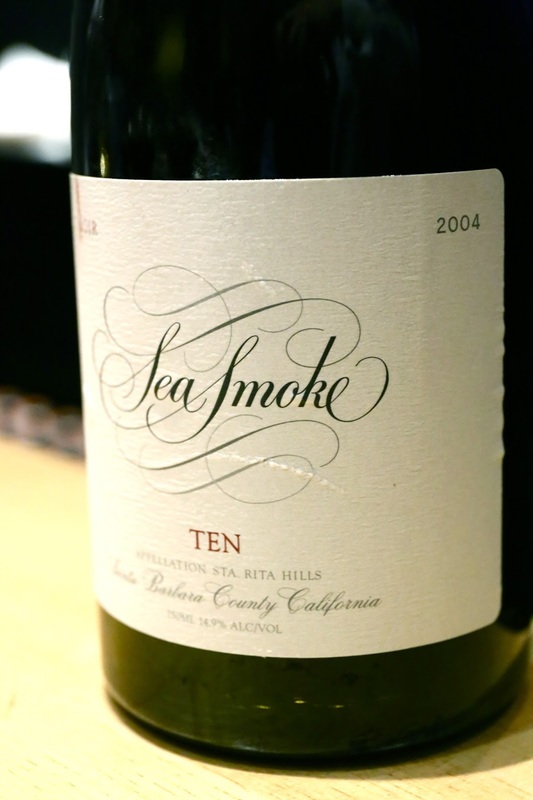 Slightly ripe on the nose, a little smoky, with a hint of earthiness, and definitely coffee notes. Drinking nicely. 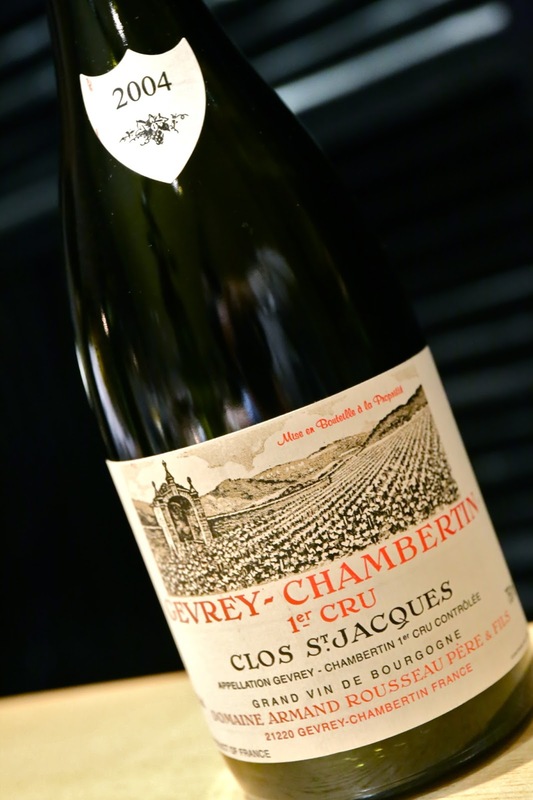 Valentine Bourrié from BOND was here to pour all five cuvées from the stable which - with the exception of Melbury - featured the wine's inaugural vintage. 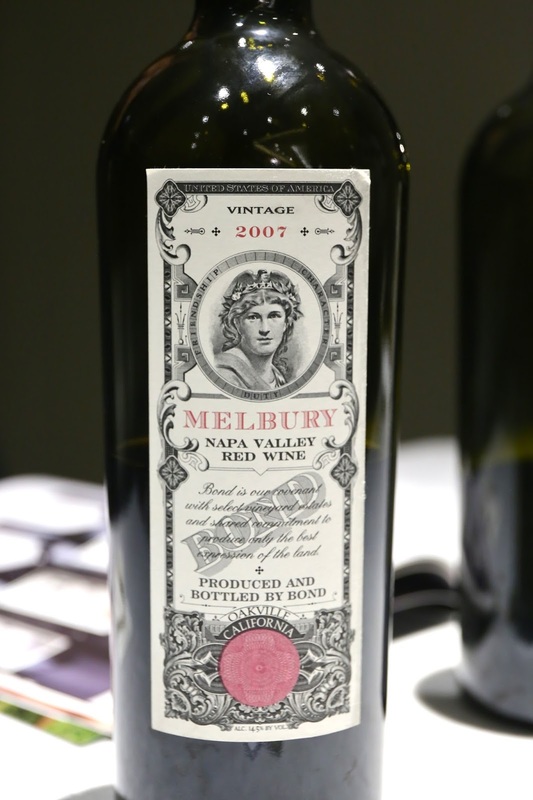 2007 BOND Melbury - sweeter nose, more coconut, deeper and more complex, with forest notes. Tannins are here but lighter than expected. 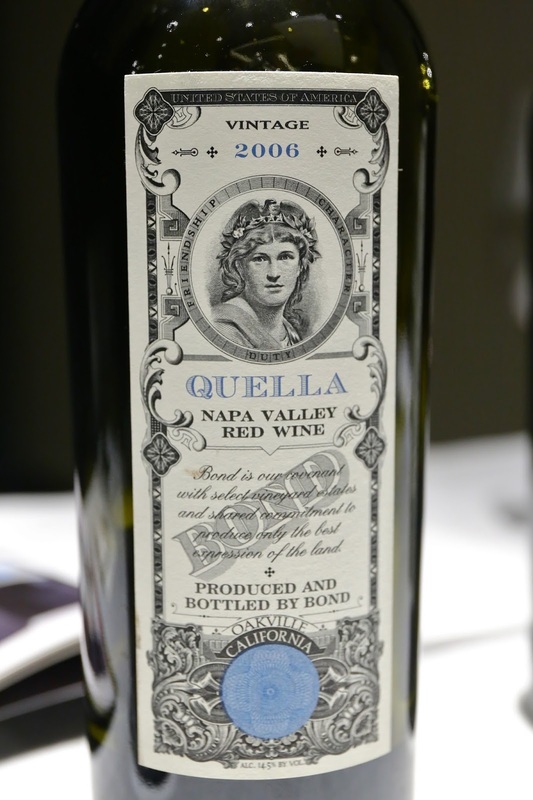 2006 BOND Quella - nice and jammy, young and a little punchy. 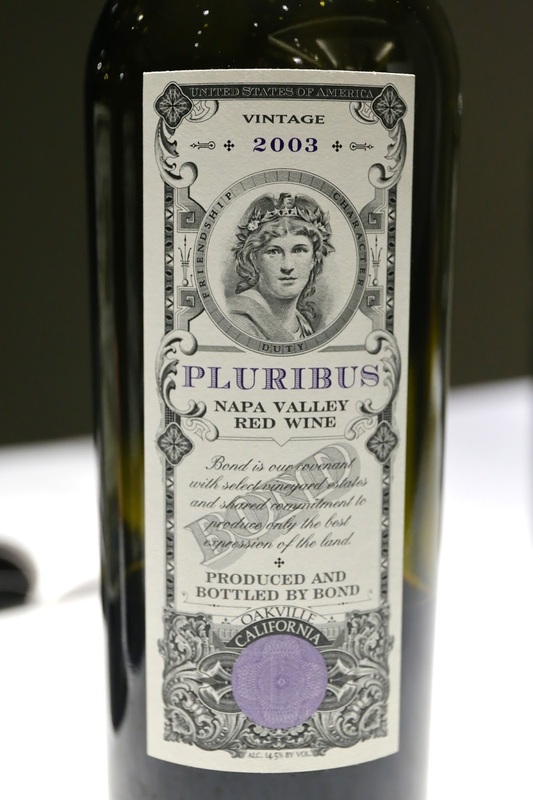 2003 BOND Pluribus - also exotic and sweet, with plenty of coconut in the nose. Sweet on the palate. 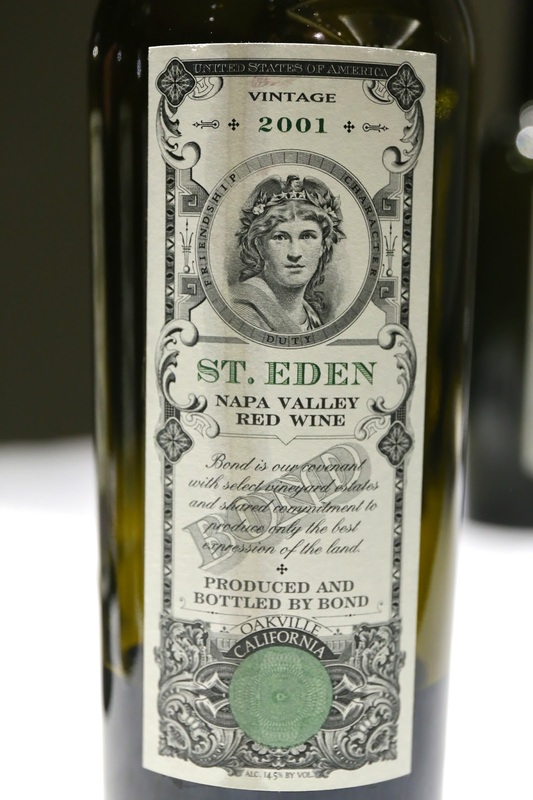 2001 BOND St. Eden - a little sharp and alcoholic. Very ripe, with a little coffee. Still tannic on the finish. 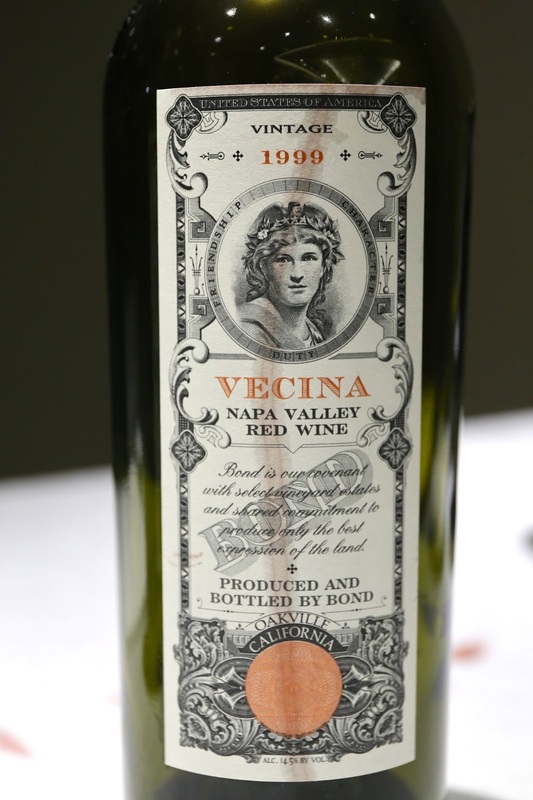 1999 BOND Vecina - most harmonious of the five since it was the oldest. 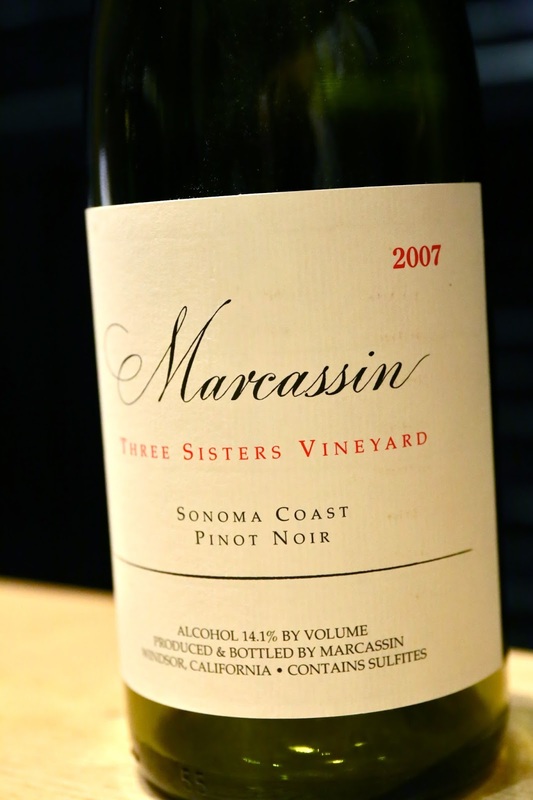 Ripe, sweet, and fragrant nose, with cedar, coffee, and almost a little chili pepper notes. 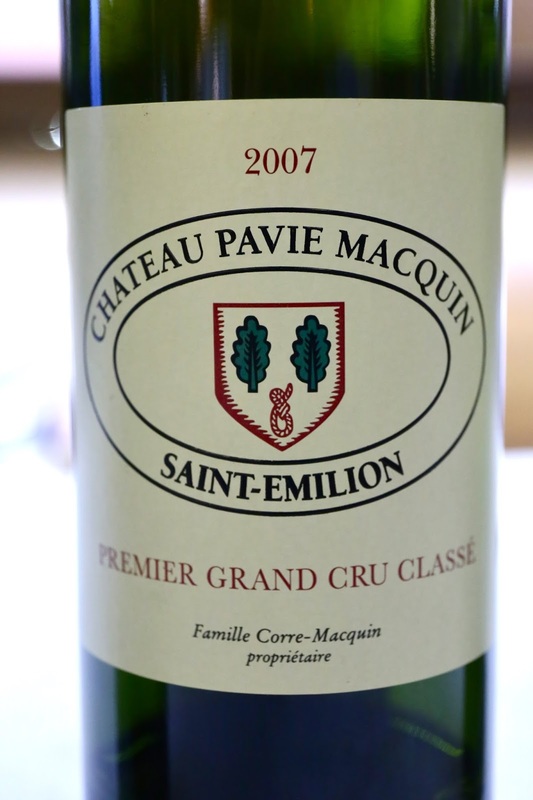 2007 Pavie Macquin - nose of smoke, coffee, a little mint, and pretty ripe. 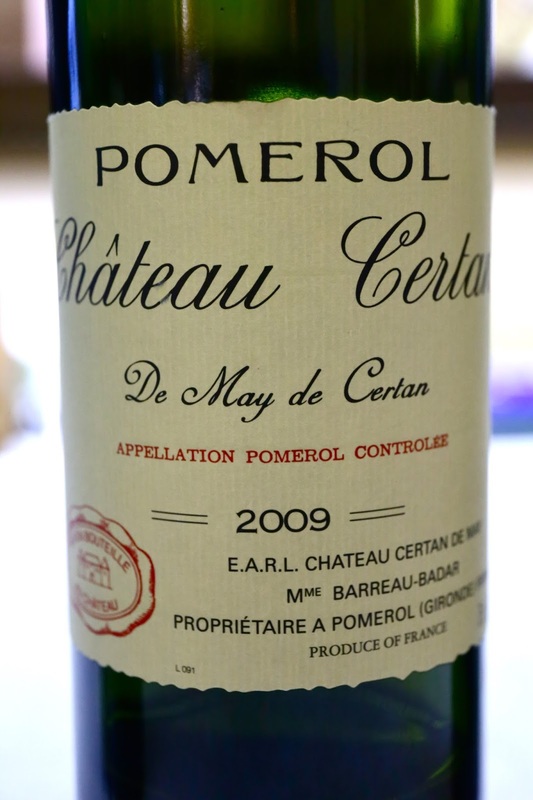 2009 Certan de May - smoky and a little earthy. 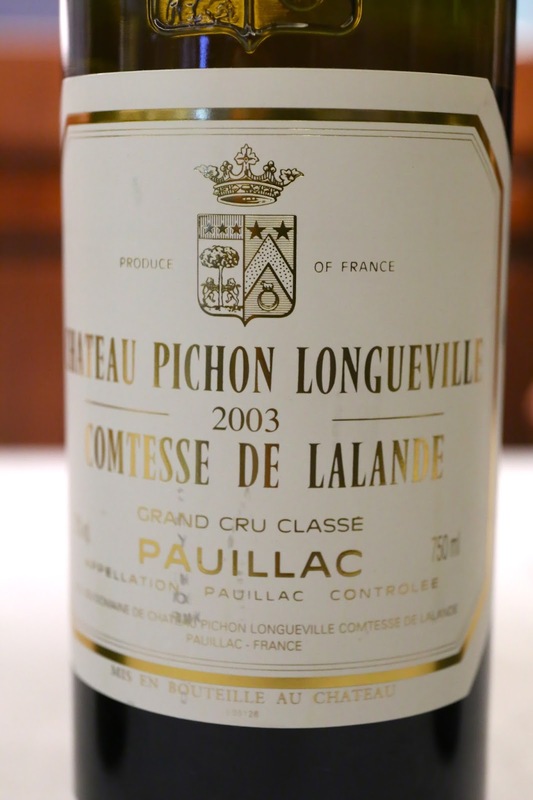 2005 Pichon-Lalande - very ripe and rich, surprisingly so extracted. 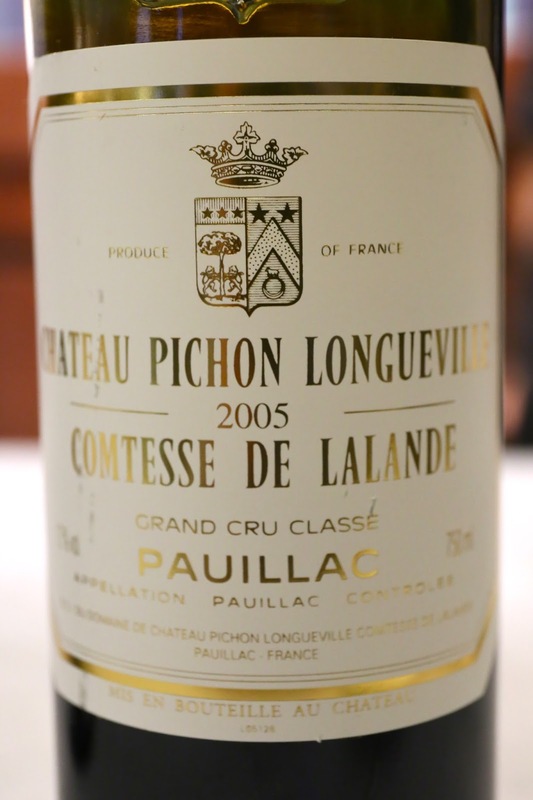 2003 Pichon-Lalande - ripe nose with coffee and cedar notes. 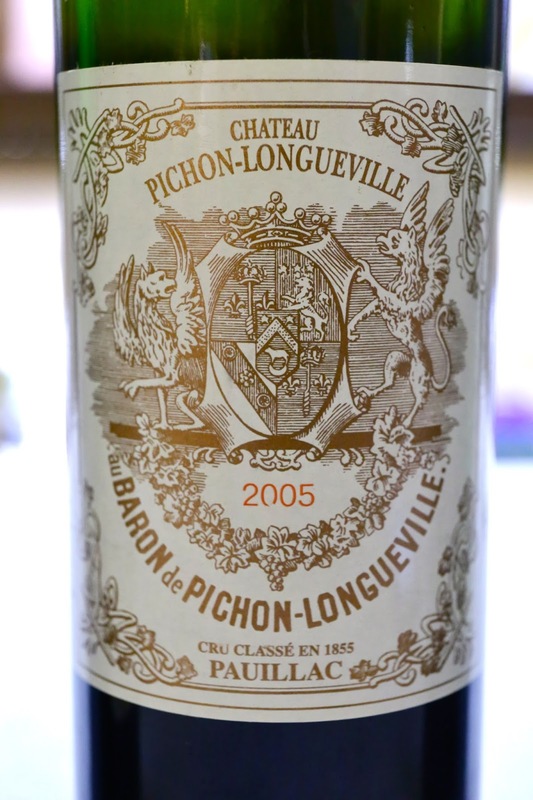 2005 Pichon-Baron - ripe nose with cedar and smoky notes. 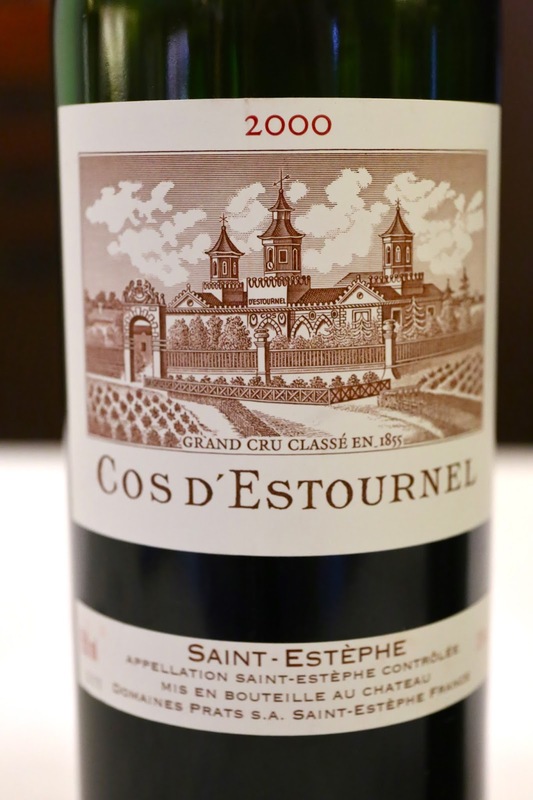 2000 Cos d'Estournel - open nose with smoky notes, a little green pepper, and a little chocolate. Drinking pretty well. 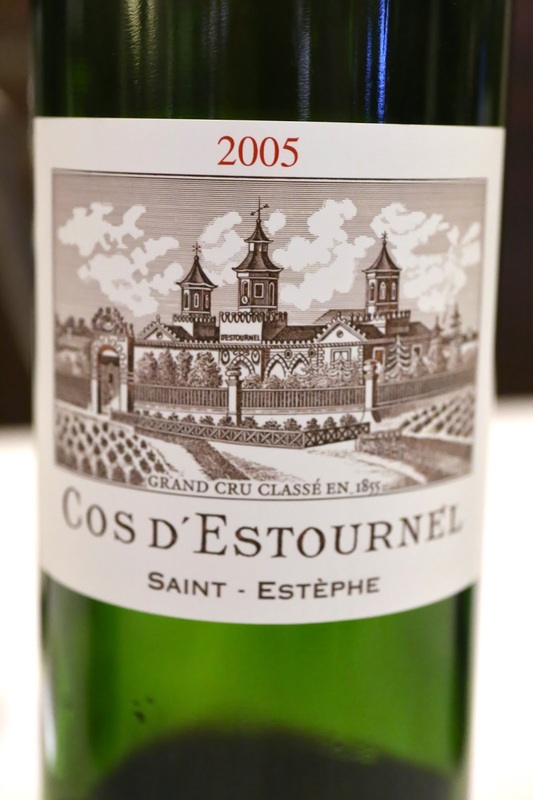 2005 Cos d'Estournel - somewhat ripe on the nose. Tannins are still here. Dinner at Tim's Kitchen in Hong Kong. 2007 Joh.Jos. Prüm Wehlener Sonnenuhr Kabinett - nose of petrol and a little flint. Slightly sweet but plenty of acidity here for balance. 1999 Guigal Côte-Rôtie Brune et Blonde de Guigal - nose was very open and fragrant, with leather and a little eucalyptus, and even floral notes like violet. Dinner at Chef Ching's Kitchen in Las Vegas. 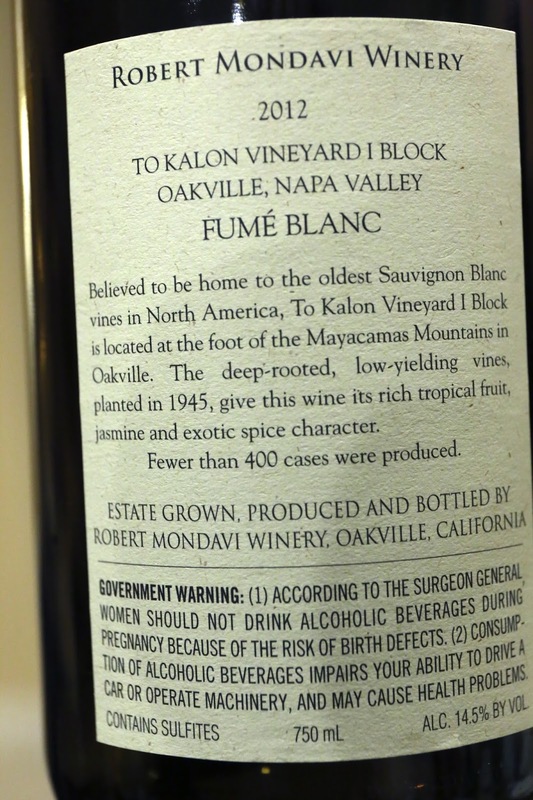 2012 Robert Mondavi Fumé Blanc To Kalon Vineyard I Block - lots of green apple, nice and tropical, oaky. 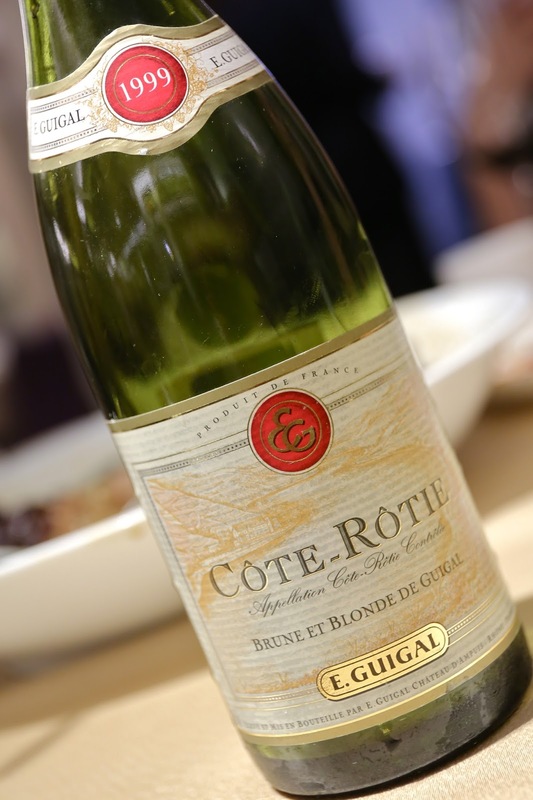 Ripe on the palate with good, crisp acidity. Yum! 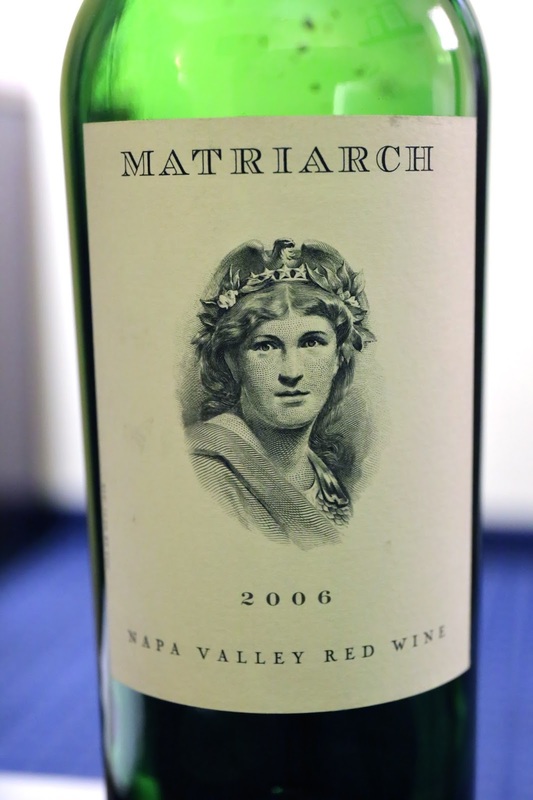 2005 Harlan Maiden - really sweet on the nose, with lots of fruit here. Nice vanilla from the oak. Not decanted, so the bottom half of the bottle showed a little more tannin thanks to the sediment. Full post on the day and dinner is here. Dinner at Auberge du Soleil. 2012 Araujo Eisele Vineyard Syrah - very ripe fruit, a little alcoholic, but so fragrant! Sweet on the palate. 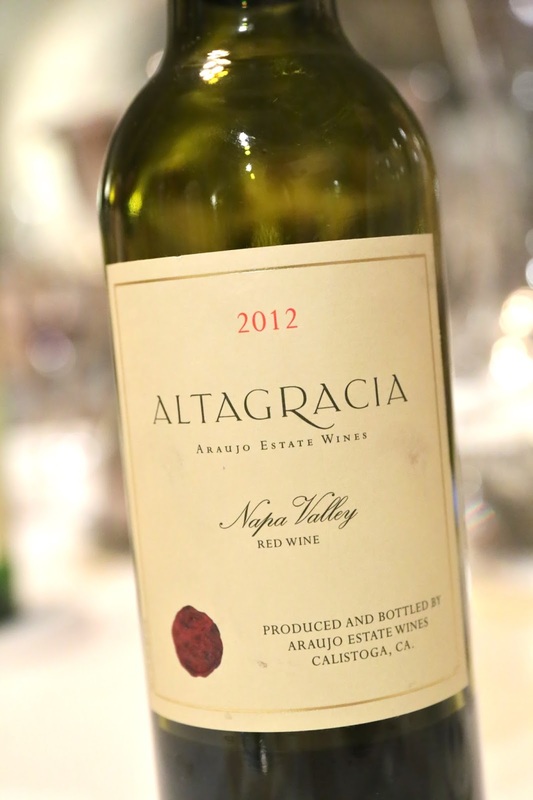 2012 Araujo Altagracia - apparently this vintage had all the cabernet franc and petit verdot, which meant this had a lot of character. Nose was more metallic, lots of exotic spices, almost tea smoked. Very soft on the palate. 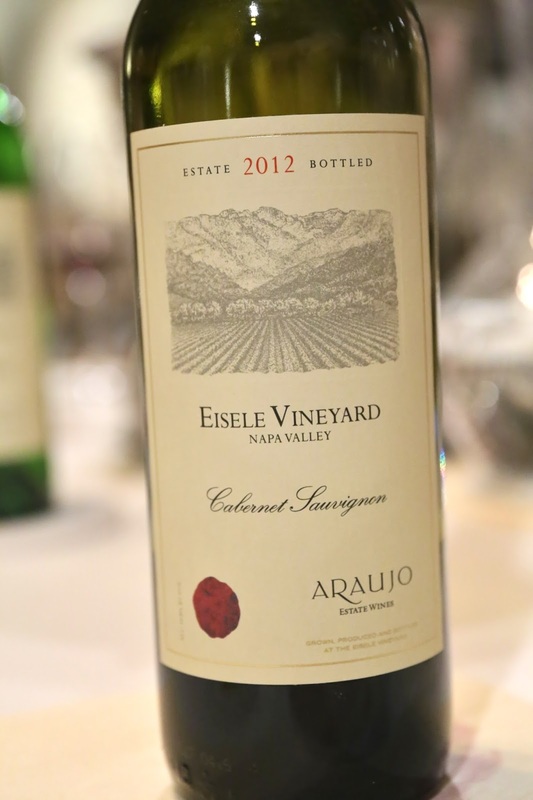 2012 Araujo Eisele Vineyard Cabernet Sauvignon - this was the first year that the team from Latour took over, and thanks to Frédéric Engerer's analytical (and scientific?) approach, only the best blocks of cabernet sauvignon went into this wine. The nose was very fragrant, with lots of cedar and floral notes. A little savory, too... and perhaps also a little dirty and funky at the same time? 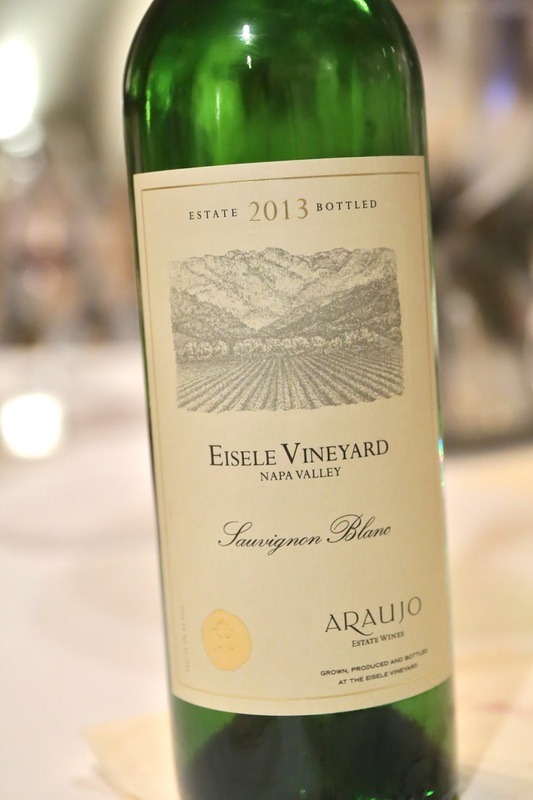 2013 Araujo Eisele Vineyard Sauvignon Blanc - wow! What a beautiful wine! 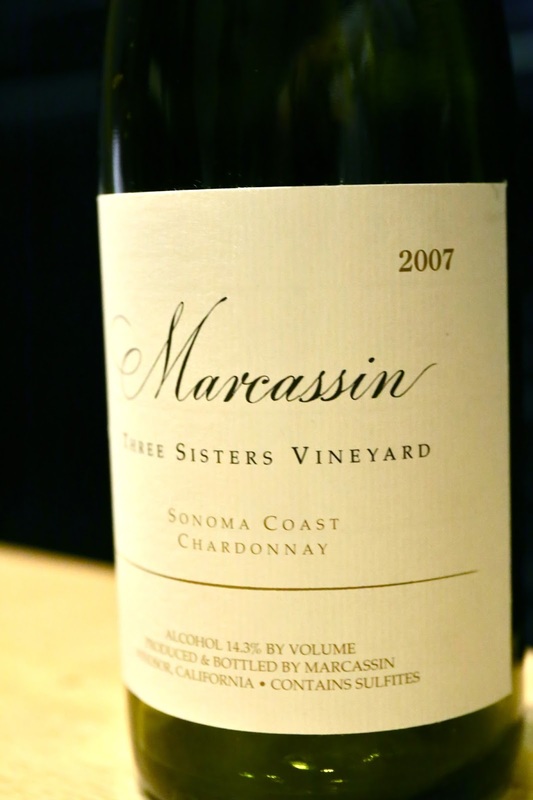 Lemon, mineral, flinty notes. Soooo fragrant! Ripe and almost sweet on the palate. Full post on the visit is here. Visit to Colgin Cellars' IX Estate. 2012 Colgin Cariad - a little cool and muted at first, slightly smoky, pretty alcoholic on the nose, with forest, bacon, and minty notes. Pretty spicy going down the back of the throat. Opened up a little more as time went on, and became more aromatic. 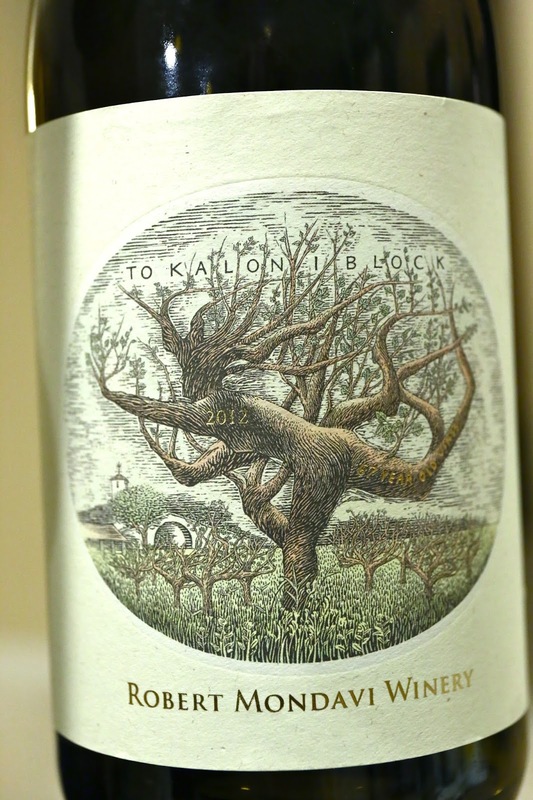 2012 Colgin IX Estate Cabernet Sauvignon - more fruit here, with more oak, along with forest, bacon, and leather notes. Vanilla and caramel notes came out later, along with tropical notes. So nice! Initially tannins were more noticeable here. 2005 Colgin IX Estate Cabernet Sauvignon - much riper on the nose, with blackcurrant and cedar notes. Much more developed in terms of aromatics, and so fragrant! Dinner at Saison in San Francisco. MNSC dinner at the Summer Palace, hosted by me. Jacques Selosse Brut Rosé, dégorgée à 18 octobre 2009 - definitely mineral and salty plum nose, very yeasty... almost like what you'd get from a freshly steamed Chinese bun (包子). Nose was also initially a little strong, not quite pungent. Very nice on the palate with a pretty long finish. First flight: opened but not decanted about 45 minutes prior to serving. 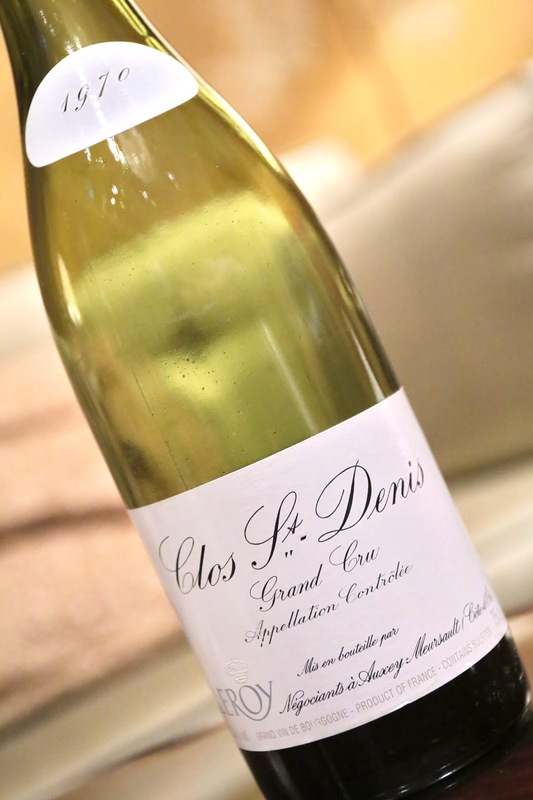 1970 Maison Leroy Clos-St.-Denis - more sweetness and ripe fruit here, with some savory notes. Went downhill quickly. 85 points. 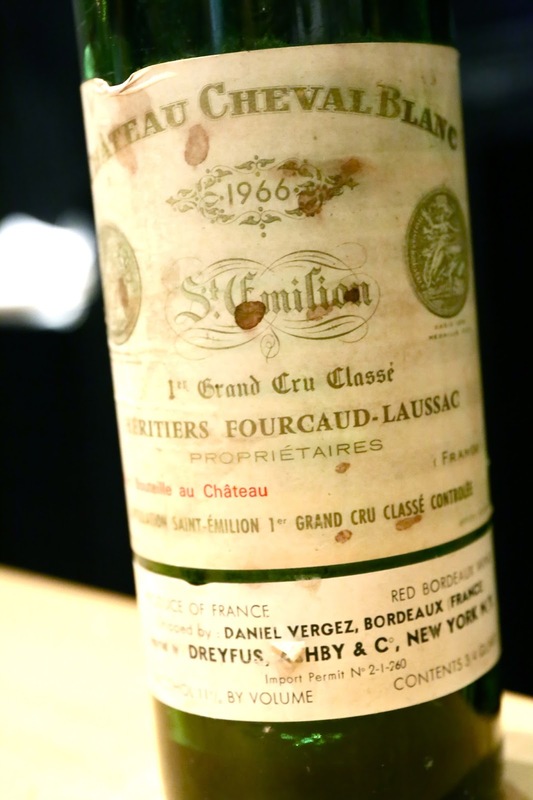 1970 Maison Leroy Chambertin Clos de Beze - savory nose, with lots of soy sauce notes. Very ripe, and surprisingly grippy on the palate - perhaps from the sediment. Went downhill pretty quickly. 85 points. 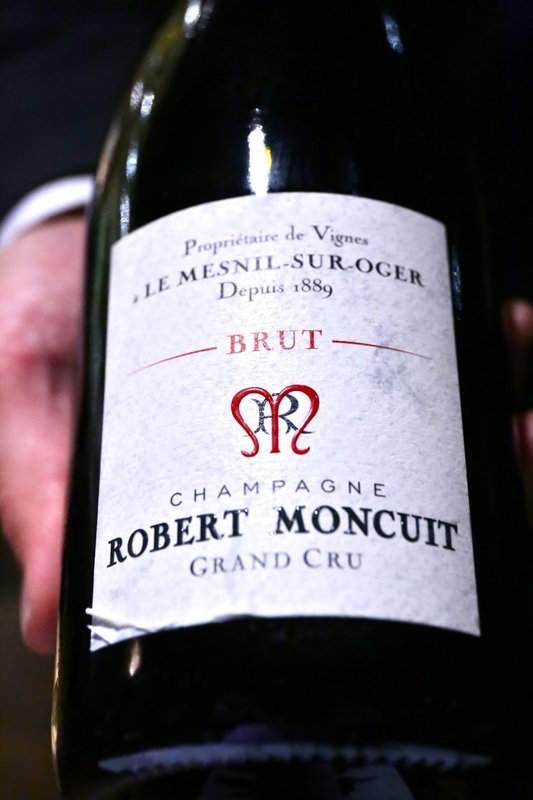 Second flight: decanted around 2½ hours prior to serving. 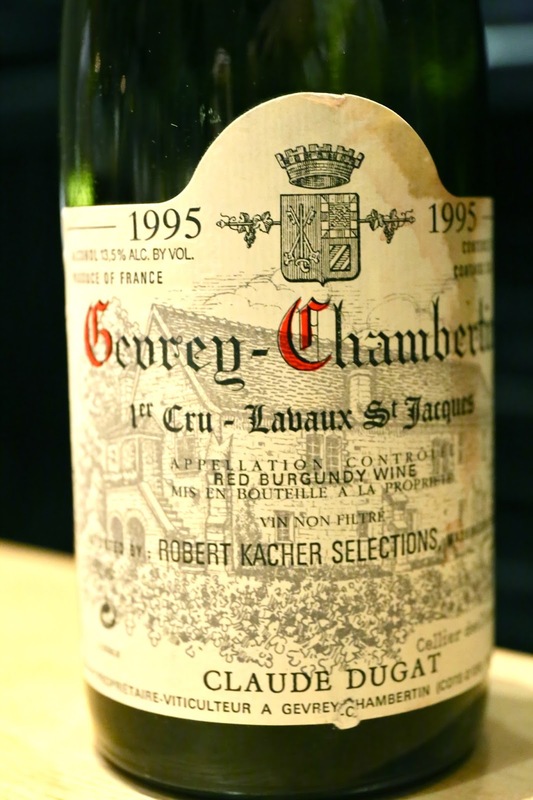 1990 DRC Echezeaux - there was a decanting mistake that I didn't catch earlier... 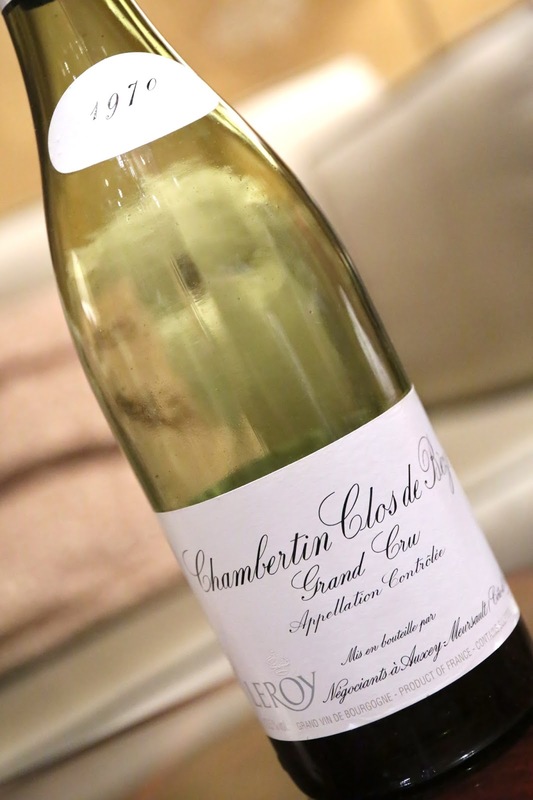 This was supposed to be opened 2½ hours before, but not decanted until 30 minutes prior to serving. The extended decanting time obviously hurt the wine, and it didn't drink anything like I had hoped. 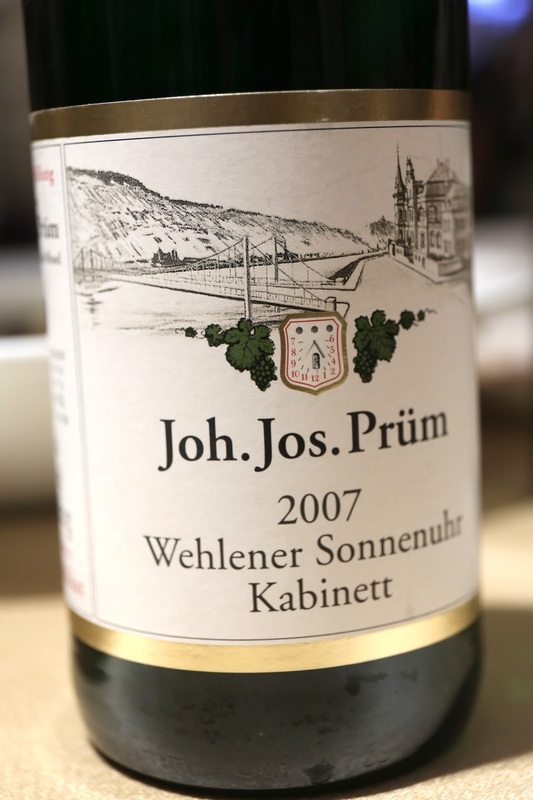 Initially a little savory on the nose, still got some nice fruit, and it was clearly over-decanted. Too acidic on the palate. 88 points. 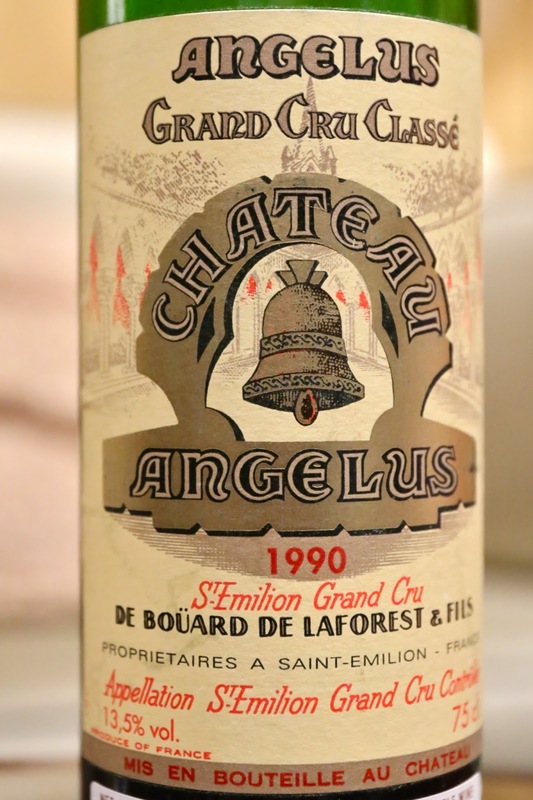 1990 Angélus - nice and lovely nose. A little medicinal, with nice fruit and concentration here. Very fragrant nose. 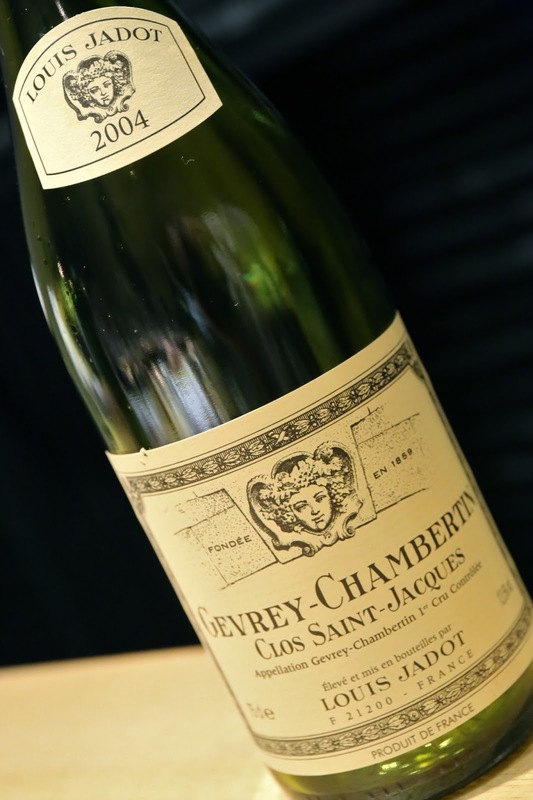 Smooth on the palate with medium-to-full body. What a beautiful wine! 98 points. Third flight: decanted 2 hours and 45 minutes prior to serving. 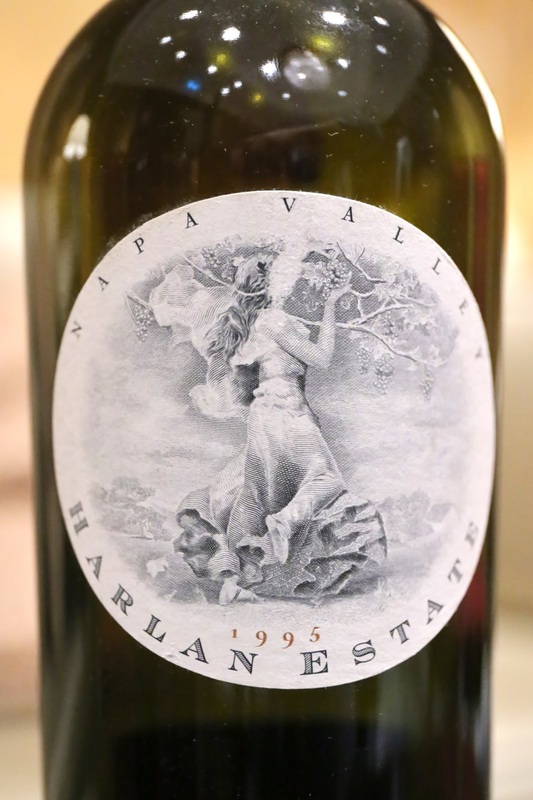 1995 Harlan Estate - a little burnt rubber at first, smoky, still slightly closed. Opened up a little later, and it was very well-balanced. 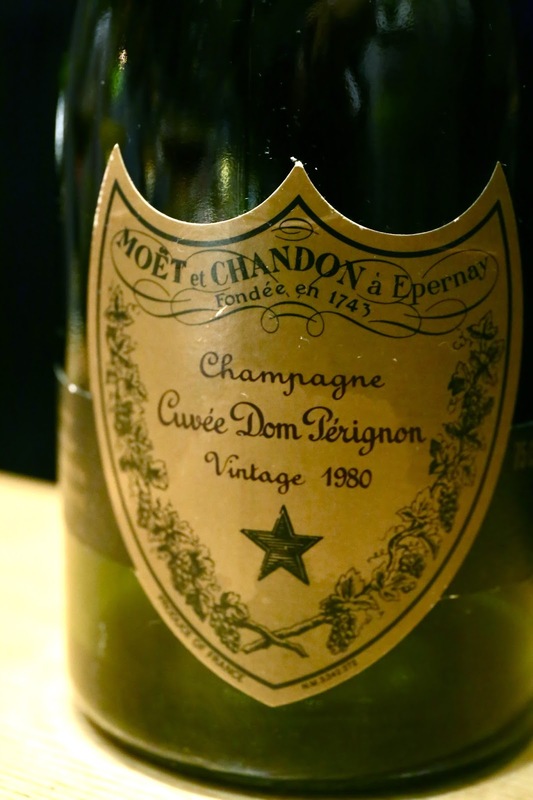 Still grippy on the palate after 20 years. 96 points. 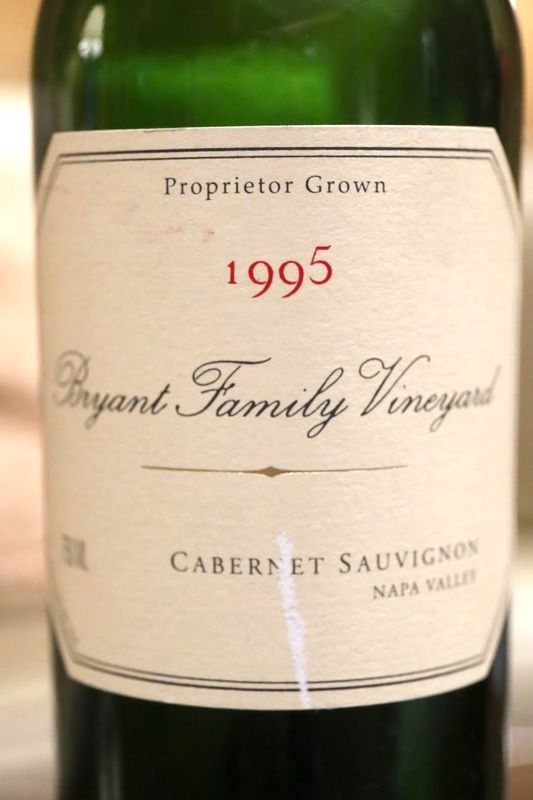 1995 Bryant Family - lots of coconut butter, tons of oak, vanilla, much sweeter on the nose than the Harlan. Less tannic than the Harlan, but they're still there. Fantastic wine! 98 points. 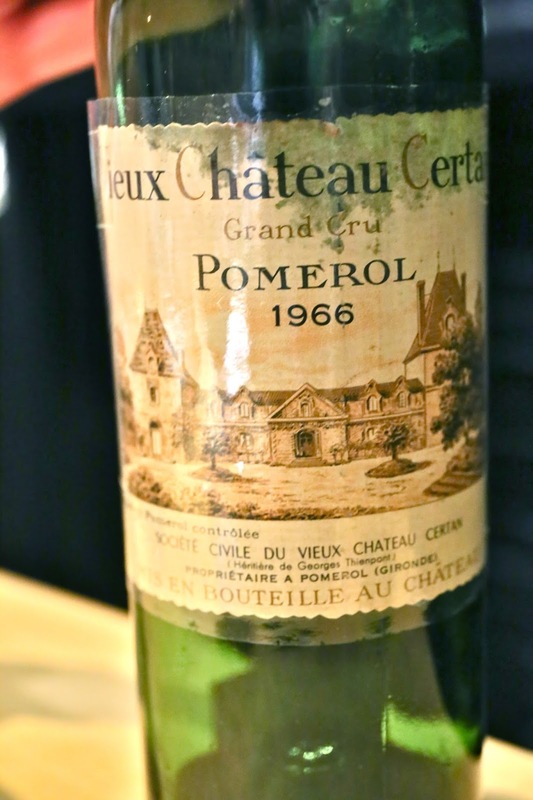 Fourth flight: decanted almost 4½ hours prior to serving. 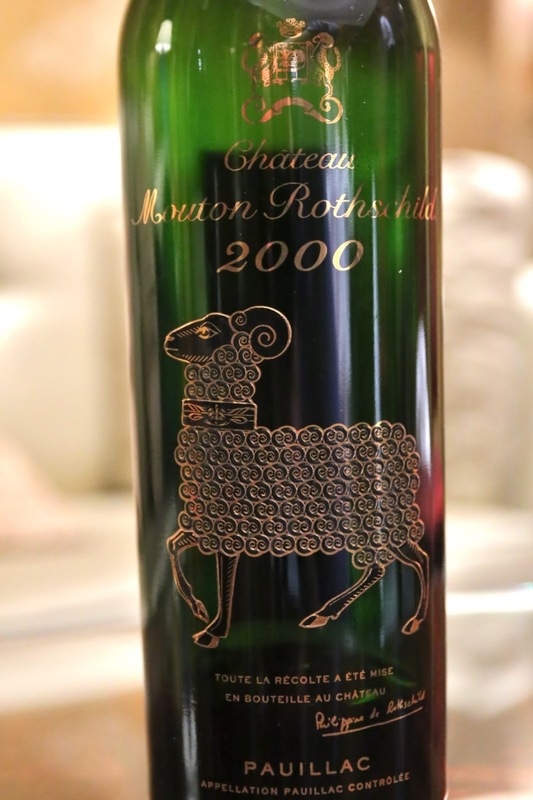 2000 Mouton-Rothschild - incredibly open and fragrant nose. Lots of coffee and smoke, slightly savory notes and some pencil lead. What a beautiful wine! 99 points... and tempted to give it 100! 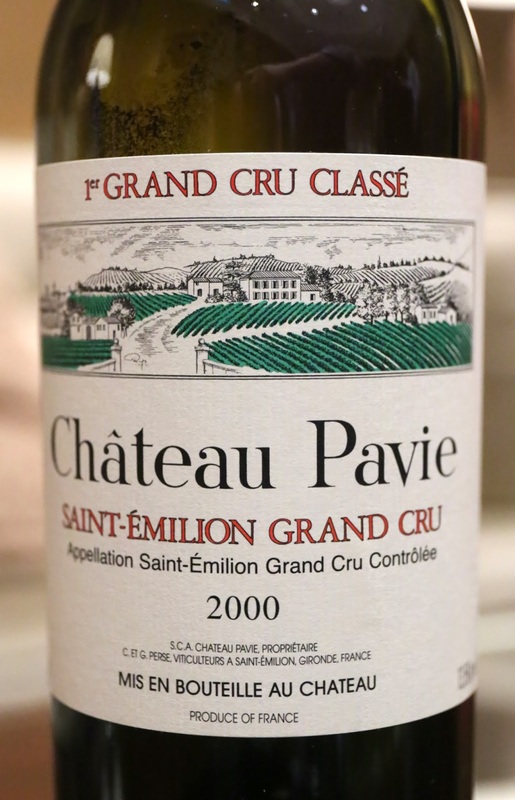 2000 Pavie - more muted compared to the Mouton, with a hint of smoke and a little pepper. Nice and smooth on the palate. Maybe this was over-decanted? 94 points. Dinner at Wagyu Kaiseki Den.